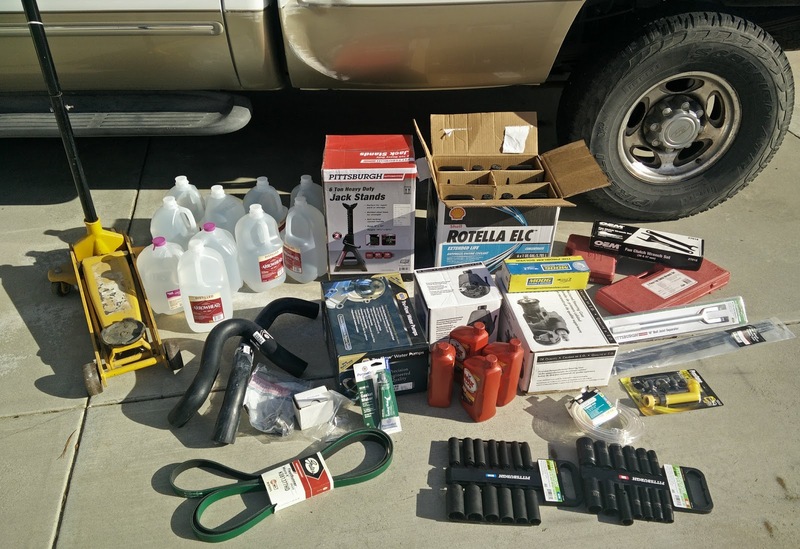 We bought our trusty Ford F-350 before we moved to Paso, and it proved to be a good decision. 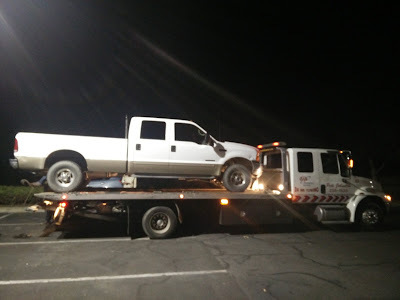 As great as the truck has been, it had 232,000 miles on the odometer when we bought it, so it has needed a little work. 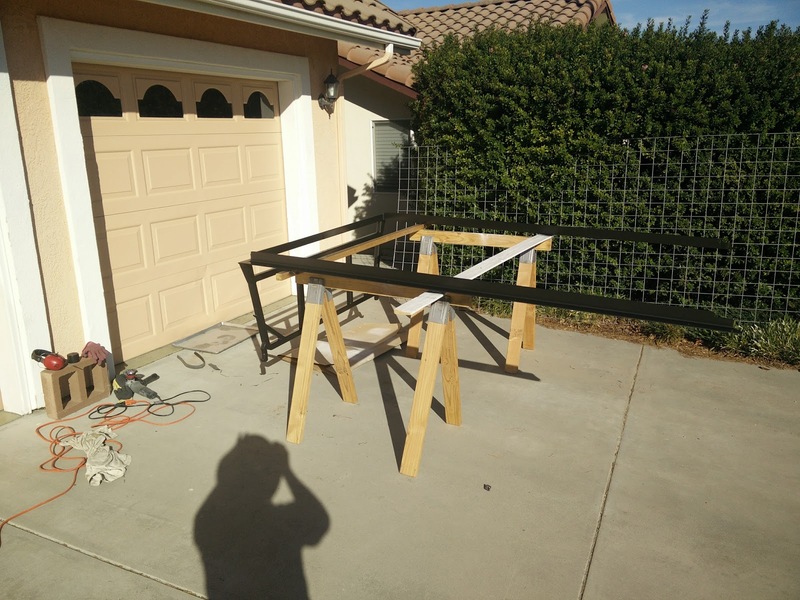 Here's the projects I can recall from our year and a half with the truck. One of the main reasons we got a truck was to carry a camper, so I had to get the toolbox and fuel tank it came with out of the bed. 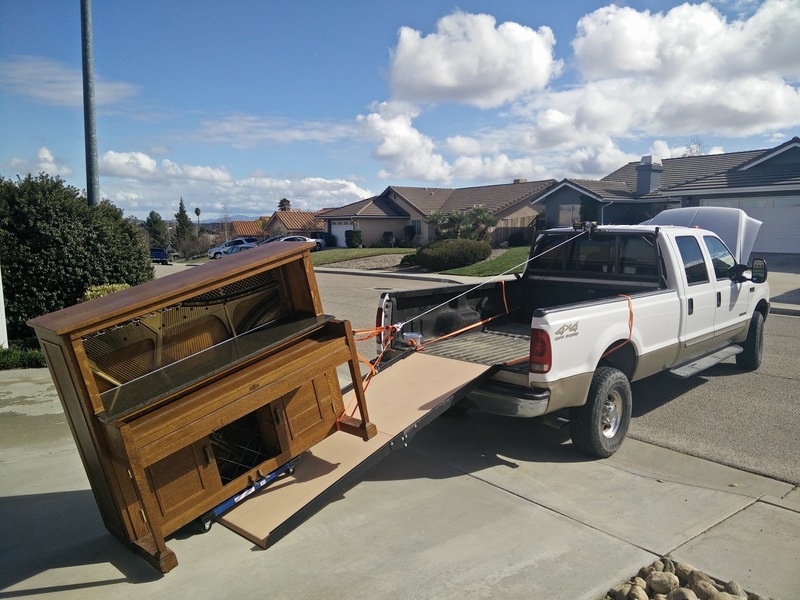 Both were sold on Craigslist with minimal effort. The seven-pin trailer connector was broken and dangling, so I replaced it. 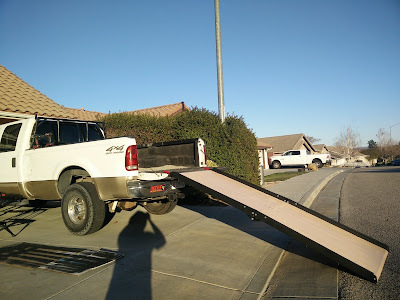 I messed up the installation the first time and had to do it again. 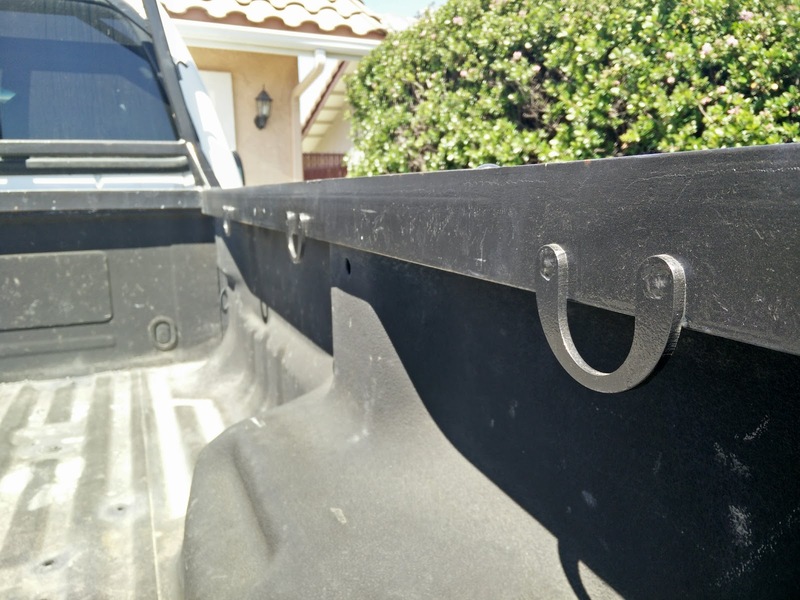 I also painted the bracket and hitch receiver. 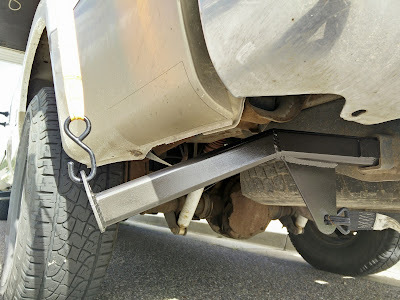 In order to safely carry our camper, I needed to install tie downs on the truck. I bought the front tie downs because they were pretty involved, but I had my buddy help me make custom ones for the back. 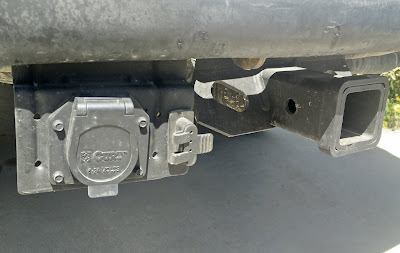 The rear tie downs slide into the sides of the trailer hitch receiver and are held in by some spring loaded trickery. One of the rear fender liners was hanging on by a thread, so I got some clips and fixed it. 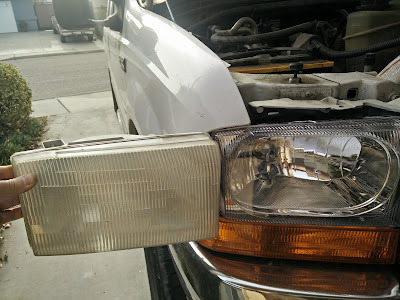 One of the front blinkers was broken, so I bought a replacement on eBay for $11 and received it the next day. I have no idea how anyone made money on that sale. 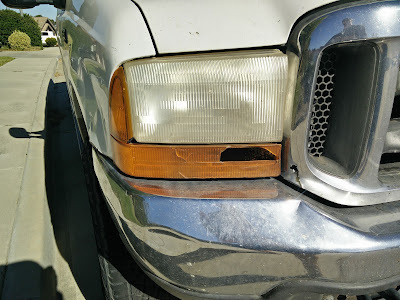 Installing the new blinker was more difficult than expected due to some body damage on the fender. 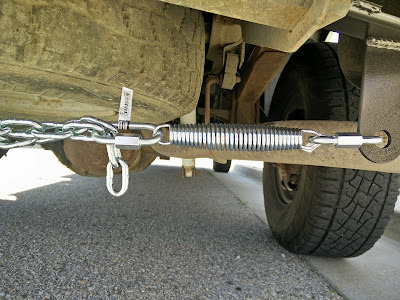 It required some gentle massaging with the dead blow hammer. The truck had some serious play in the steering system when I got it. The first step to correcting that was replacing all the tie rods. 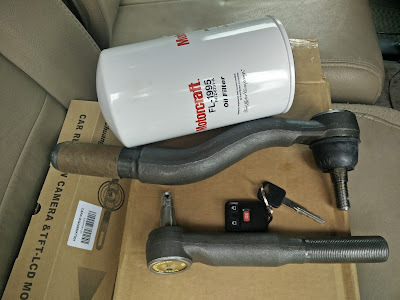 All my work on the Miata did not prepare me for the scale of truck parts. After initially trying to get rid of it, I decided to keep my headache rack when I realized our camper would fit over it. I just had to clean it up and give it a fresh coat of hammered black paint. The headlights that came with the truck didn't actually produce much light, so I installed some prettier ones that actually work. 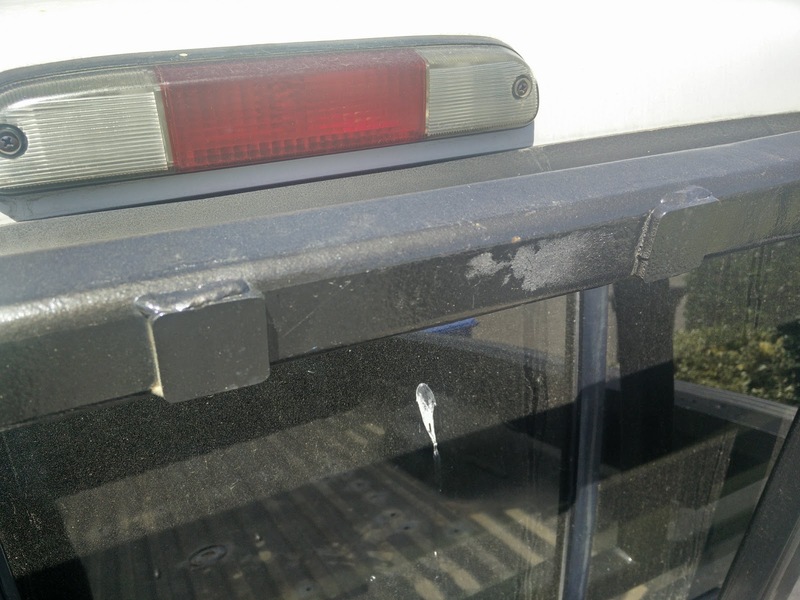 I'm still working on getting them aimed just right. 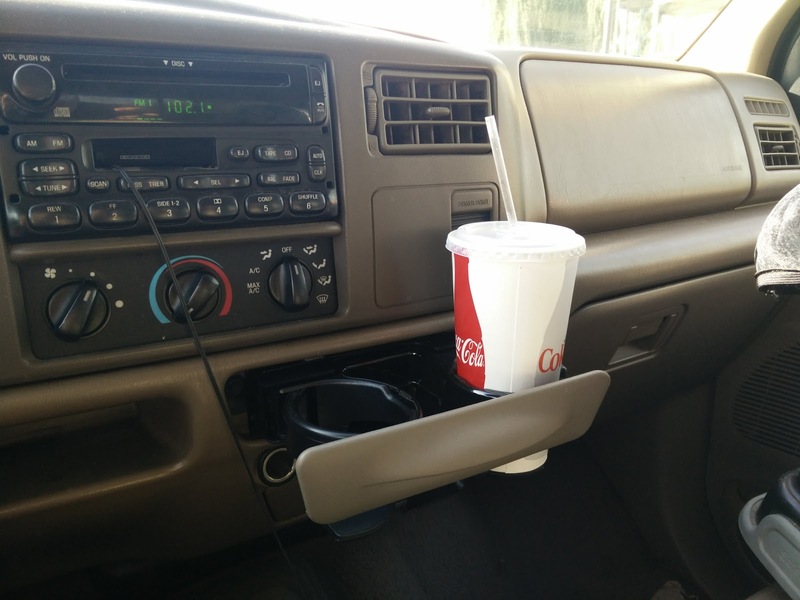 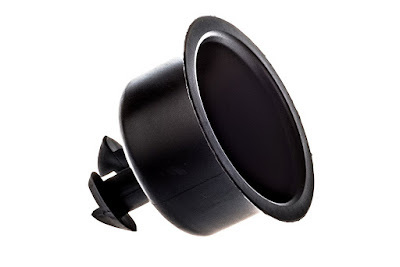 The cup holder in the truck was toast, so I installed a new and improved part from Ford. I had one small issue when the power steering line let go on my first drive. 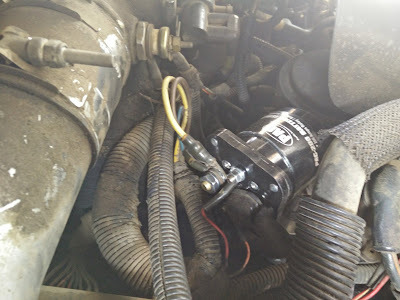 A new hose fixed it. In order to load pianos in our truck, I bought a ramp kit and put it together. After one quick tests I determined it wasn't quite sturdy enough, so I added some extra square tubing to reinforce it. 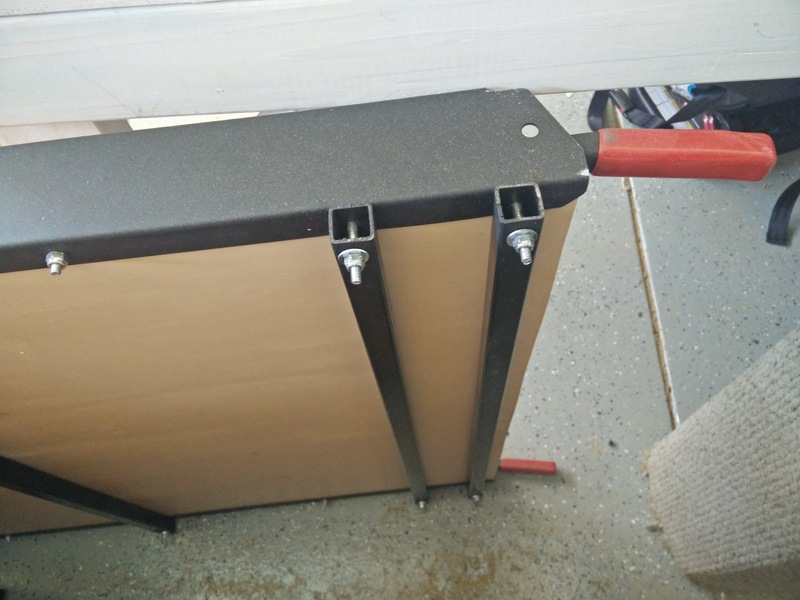 I bought a cheap winch to pull pianos up the ramp. 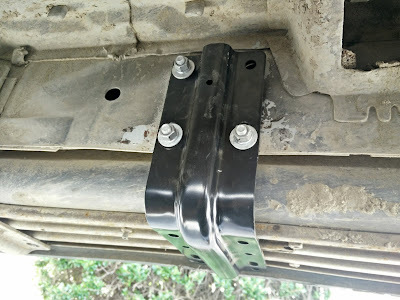 I modified the mounting plate so it quickly slips on the headache rack. 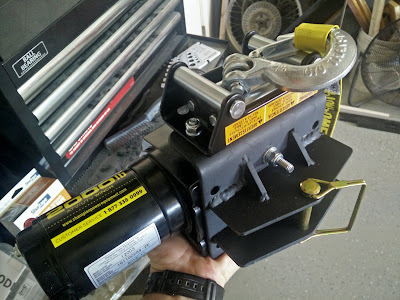 To make sure the winch worked properly, a couple small modifications were also made to the headache rack. Those included gussets and a couple locating tabs. 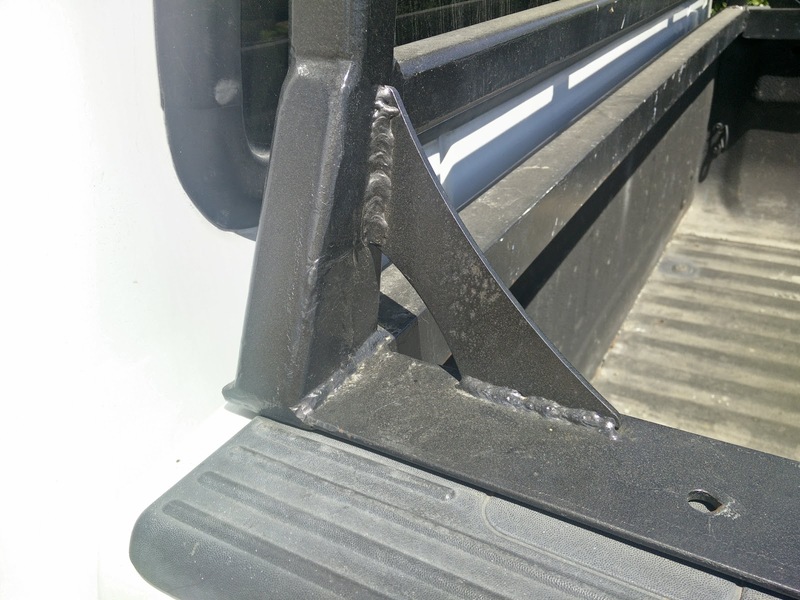 Along with those winch related modifications, I added some tie downs along the side rails. 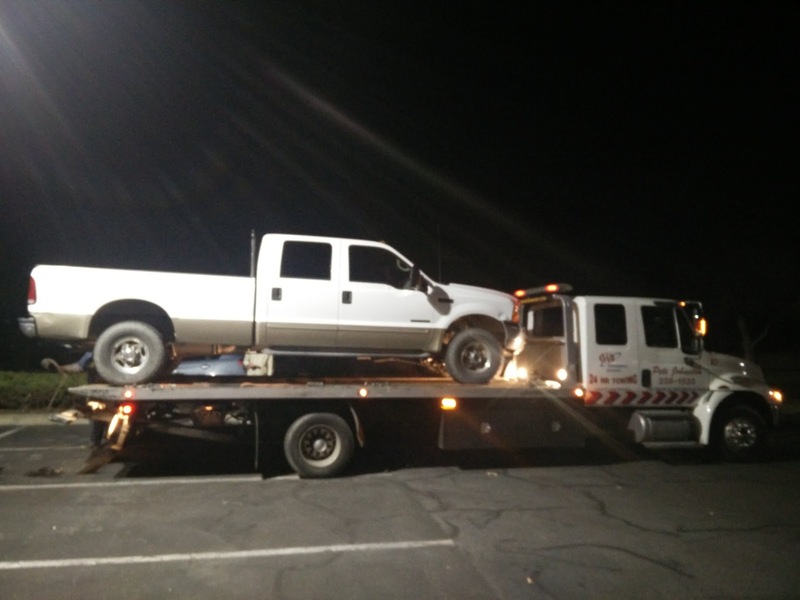 The truck has always struggled a little bit when starting in cold temperatures, which did not inspire confidence. 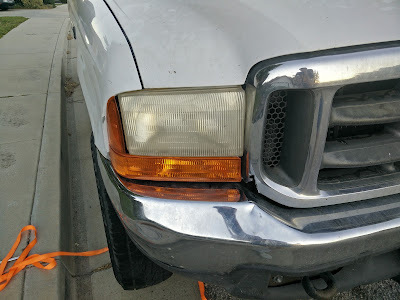 Once I decided to try and figure out the problem, I quickly determined the glow plugs weren't functioning. 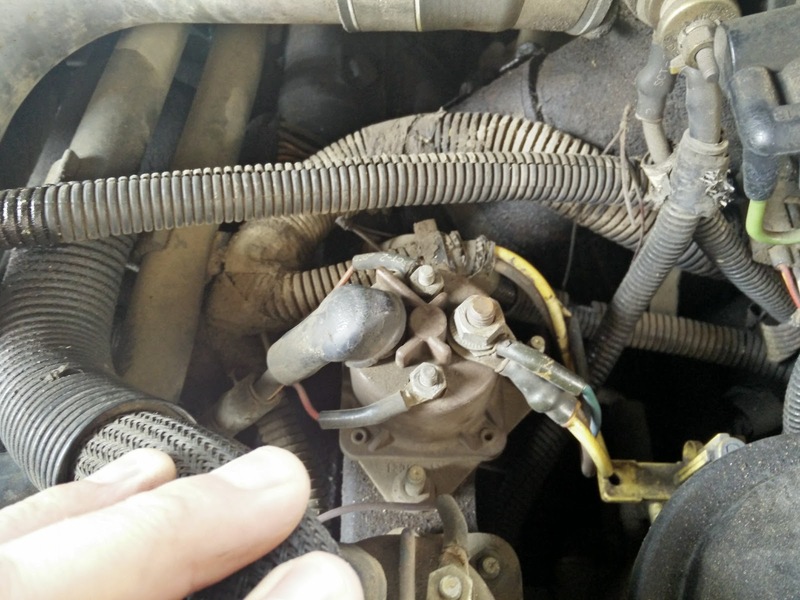 I traced the problem to the glow plug relay, so I installed a heavy duty replacement. The truck now fires right up every time. 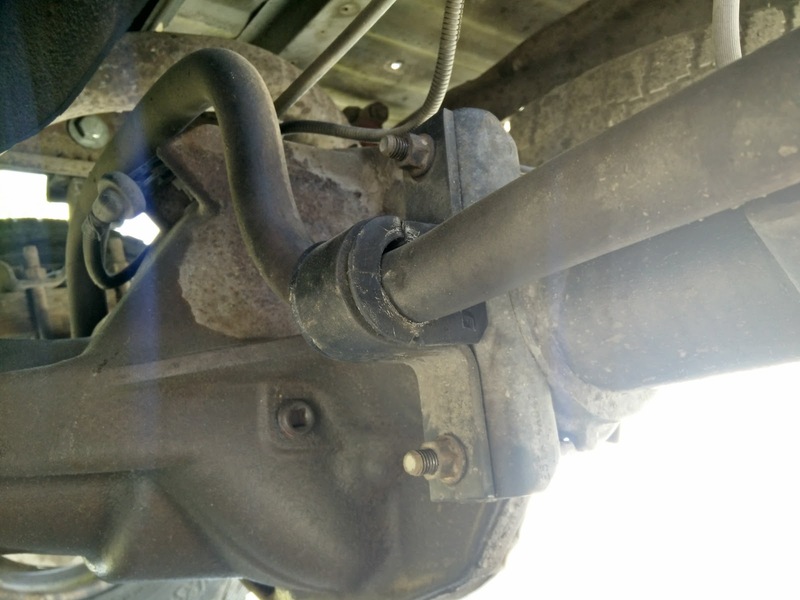 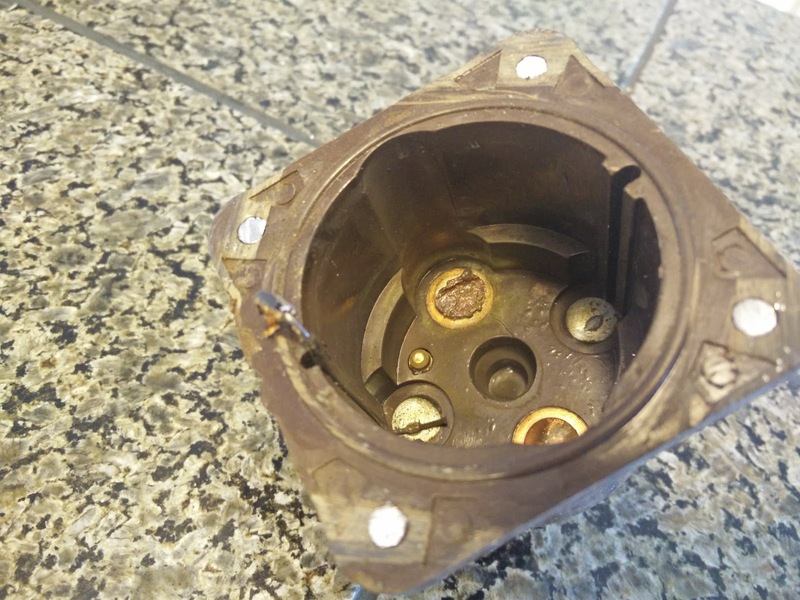 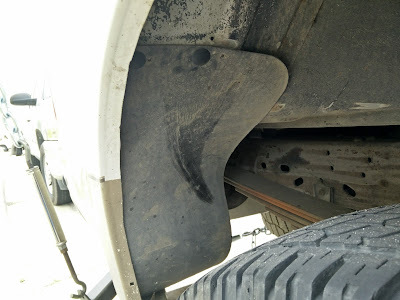 We noticed the passenger side running board was a little squishy, and a quick inspection revealed one of the support brackets appeared to have been violently removed. 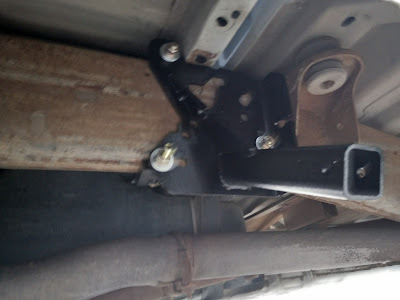 After some vigorous massaging of the body, I was able to bolt up a new bracket. This was after I straightened everything. Don't mind the unused hole. 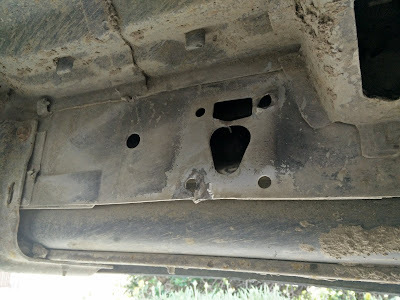 This bracket originally had only two bolts. 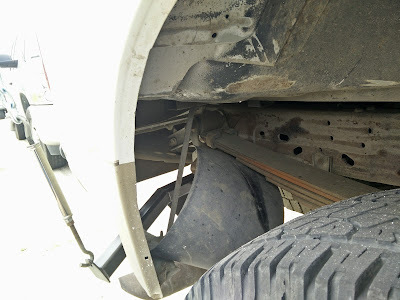 The truck had a little more body roll than I would like, especially with the camper in it. 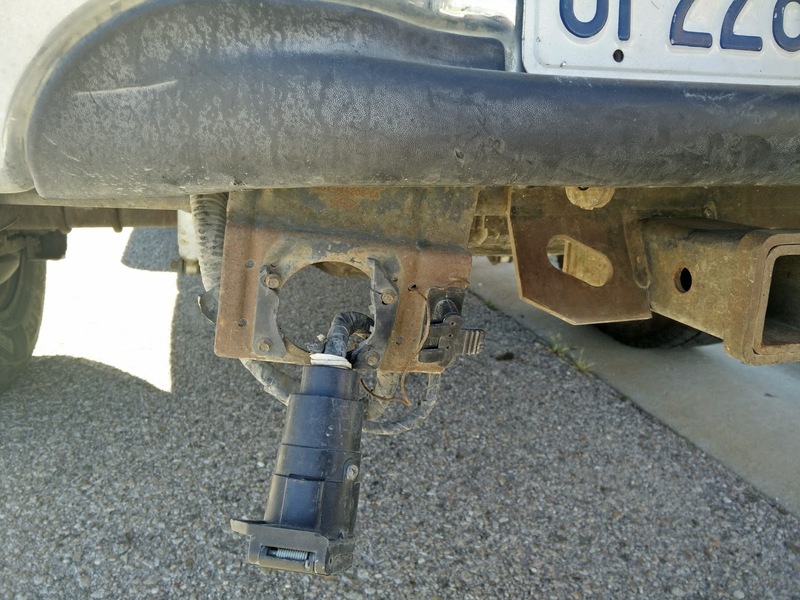 The first thing I've done to try to reduce the roll is replace my worn out rear sway bar bushings. 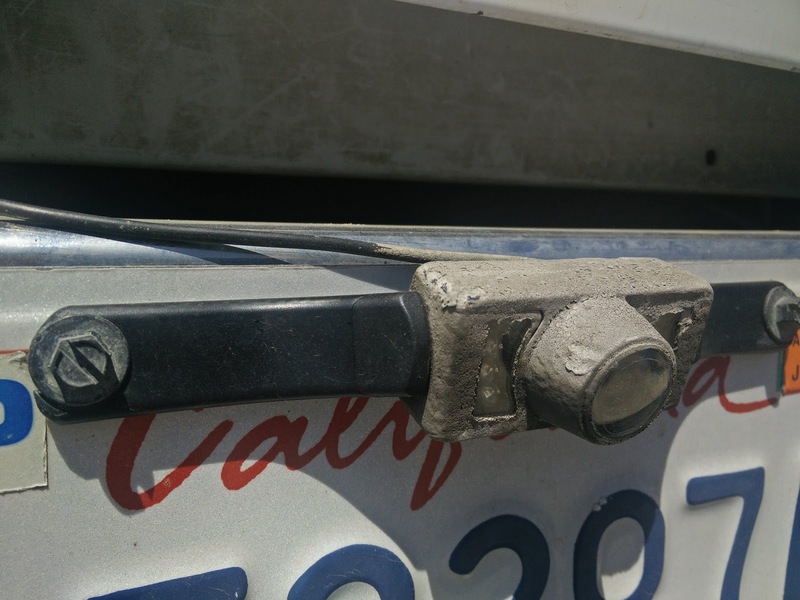 After nearly backing our camper into a light pole, I installed a backup camera. It looks nasty because I rubberized it to try and improve its water resistance. 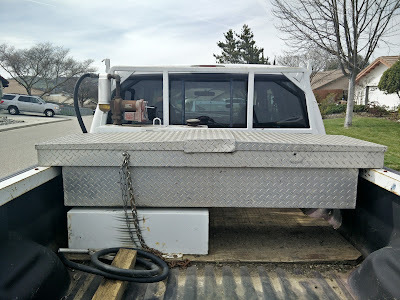 I take the tailgate off the truck pretty often, and usually struggled to put it back on. 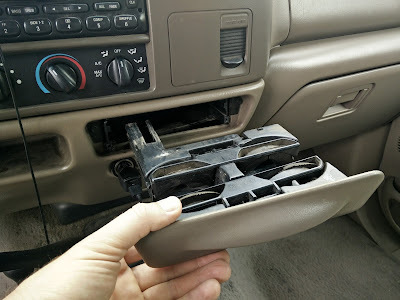 It turned out the little plastic bushing on the hinge was causing my issue, so I replaced it. 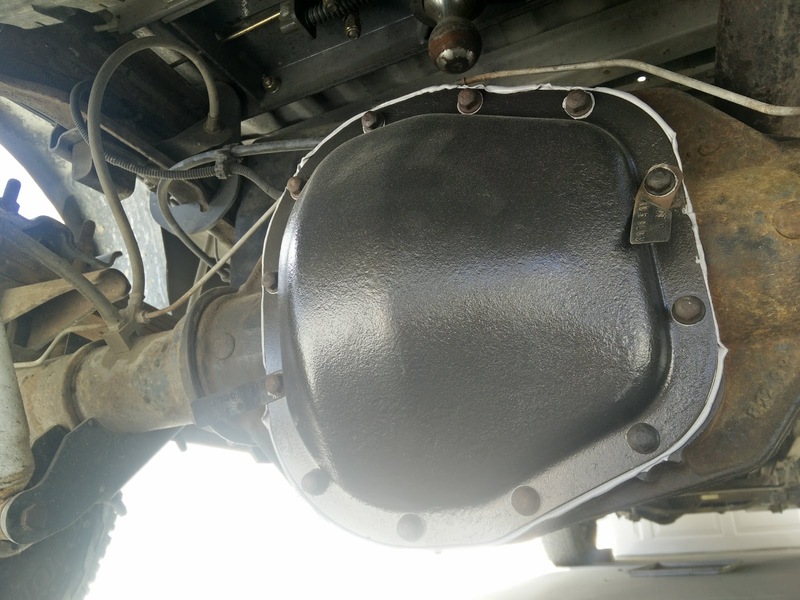 Both the front and rear differential covers were leaking, so I resealed them. 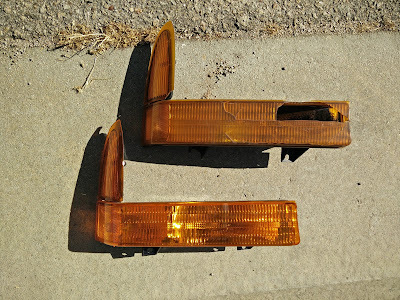 I also repainted them while they were off.